Cloud Auditing of massive logs requires analyzing data volumes which routinely cross the peta-scale threshold. Computational and storage requirements of any data analysis methodology will be significantly increased. Distributed data mining algorithms and implementation techniques needed to meet scalability and performance requirements entailed in such massive data analyses. 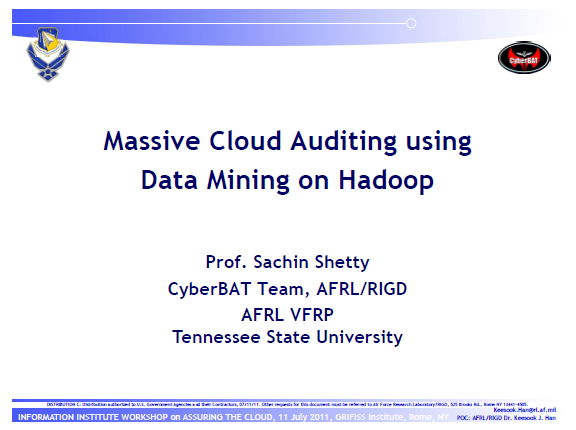 Current distributed data mining approaches pose serious issues in performance and effectiveness in information extraction of cloud auditing logs. Reasons include scalability, dynamic and hybrid workload, high sensitivity, and stringent time constraints. 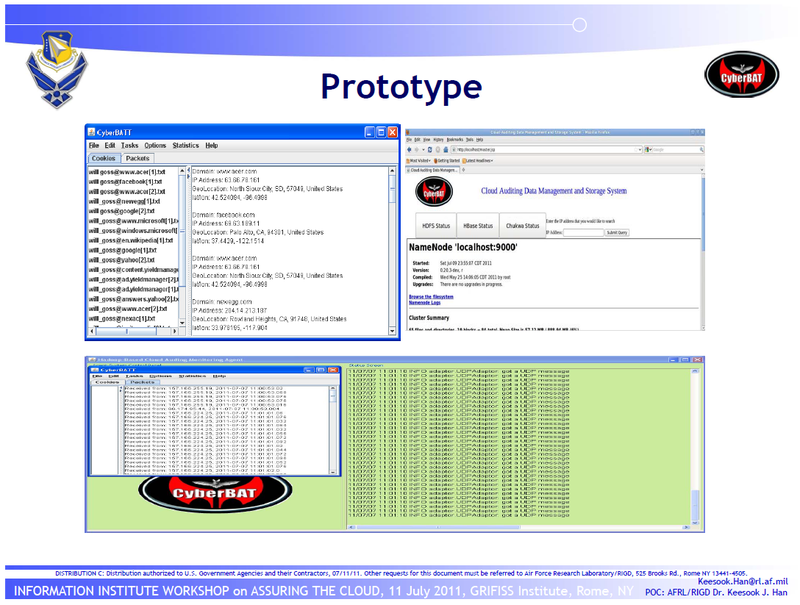 Cloud Traffic logs accumulated from diverse and geographically disparate sources. Honeypot traffic from UTSA comprising of malicious traffic. Augment traffic information with IP,DNS, geolocation analysis procured from publicly available datasets and high level network and flow statistics. IP geolocation from public databases retrieve the name and street address of the organization which registered the address block. 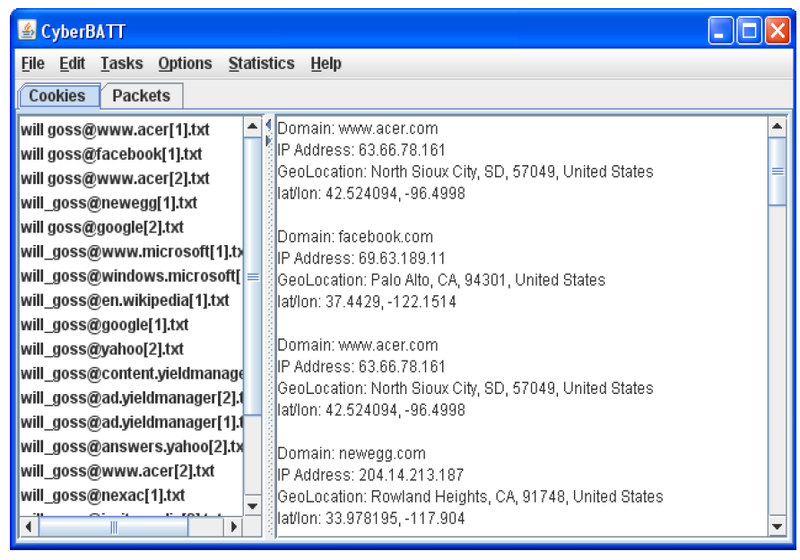 For large ISPs the registered street address usually differs from the real location of its hosts. Measurement based IP geolocation utilize active packet delay measurements to approximate the geographical location of network hosts. Traffic characterization will generate massive amount of data. Need for distributed data storage. Reducing time between query submission and obtaining results. Map-Reduce programming model used for fault-tolerant and massively parallel data crunching . But Map-Reduce implementations work only in batch mode and do not allow stream processing or exploiting of preliminary results.